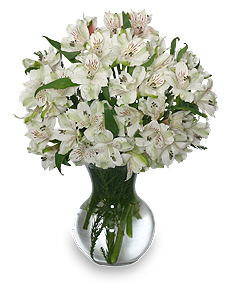 A Vase of Elegant, Beautiful Alstroemeria Lilies! 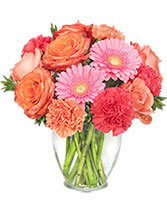 Long Lasting and Not Overly Fragrant, This Arrangement is a Perfect Gift for Anyone This Holiday Season. 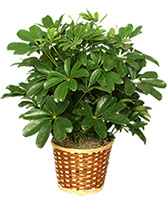 Easter Baskets Aren't Just for Kids! 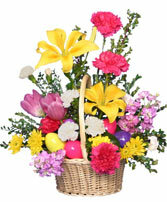 This Design Features Whimsical Easter Eggs, Nestled into a Natural Finish Basket, Surrounded by a Vibrant Mix of Our Freshest, Most Colorful Flowers.